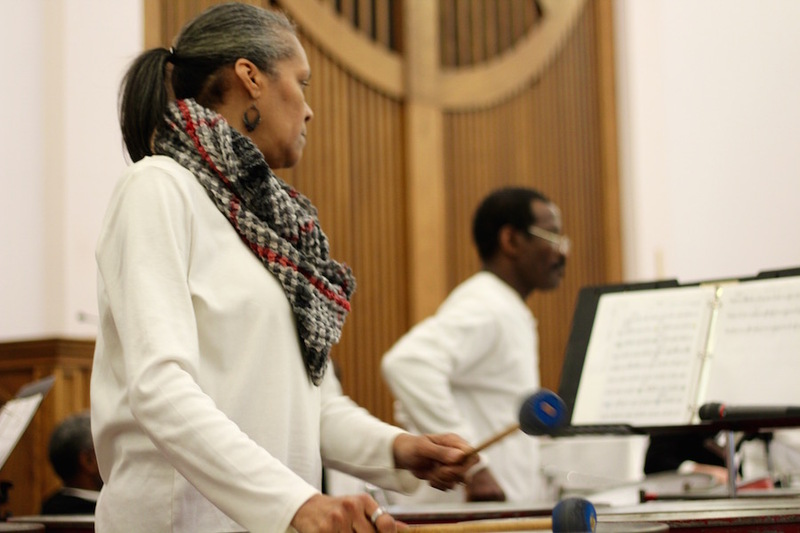 Kenneth Joseph, who directs the steel band at St. Luke's Episcopal Church on Whalley Avenue. Lucy Gellman Photos. At first, it was exactly what you’d expect of “Amazing Grace.” The strings came in reverent and layered, something round and ringing beneath them. They lifted, enough to almost hear the words in their wake. Tremulous steel hummed below. Attendees at First and Summerfield Church shifted in their seats, some leaning forward still in their coats and hats. Then conductor Kenneth Joseph threw his arms outward and the drums began to sing. Not a polite, quiet rhythm, but a booming one, alive as a human heart and twice as loud. 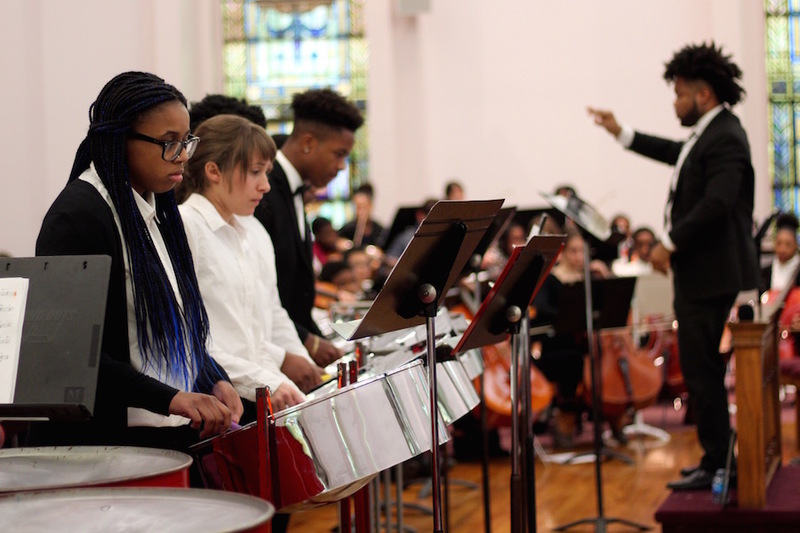 Monday, Music Haven and St. Luke’s Steel Band came together for their ninth annual Martin Luther King Day Concert, a celebration of King’s life and legacy with a soundtrack to match. Despite bitterly cold temperatures outside, over 100 packed the church until it was standing room only. It marked the second year the concert has been downtown after years on Whalley and then Broadway Avenues. The setting is fitting: the building at 425 College is also ground zero for local labor and sanctuary movements. 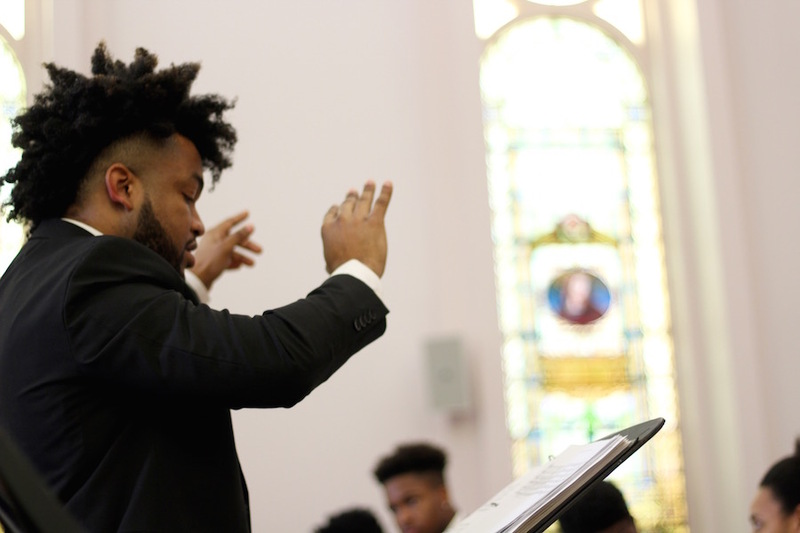 This year, Resident Musician Philip Boulanger said the concert focused on “the songs and sounds of the civil rights movement” that still resonate today. He recalled working with students, staff, and fellow musicians on a program that revolved around Sam Cooke’s 1964 “A Change Is Gonna Come,” talking to many of them what that fight for change looks like in America today. 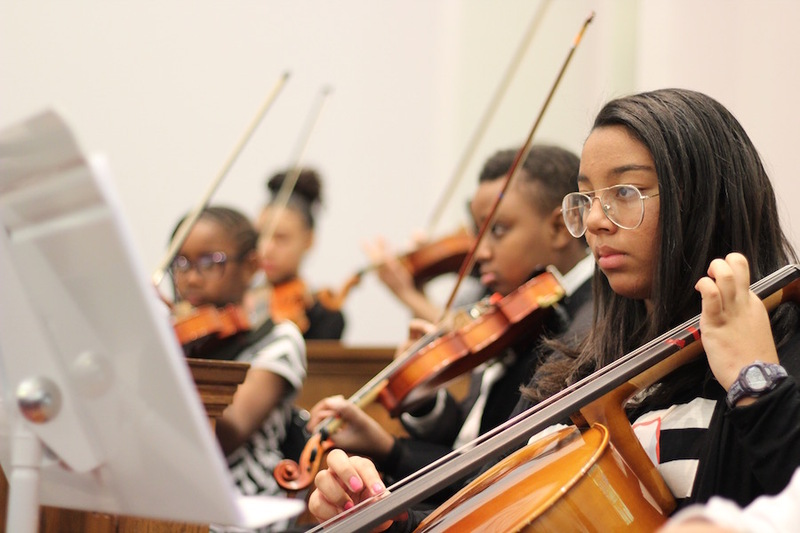 Boulanger’s words sprang to life as the groups began to play, joined this year by 22 string students from Bridgeport’s High Horizons Magnet School. As Joseph cued drums and strings into “What’s Going On,” Marvin Gaye’s fundamental, soulful question hung over the space, conjured with each bow to string, each mallet to dipping steel surface. Mother, mother, everybody thinks we're wrong, chattered the violins, angry but exuberant at once. Oh, but who are they to judge us/Simply 'cause our hair is long, responded the steel, the tinkling of laughter somewhere in there, just beyond the edge of its cool voice. Musicians cycled through centuries of oral, written and sung tradition with hardly any words at all, soothing the audience as Curtis Mayfield’s “People Get Ready” burst over the church. As if by magic, the drums made themselves bell-like and nimble, strings building that great train of which the singer once spoke. From the back of the steel band’s section, something clicked and clacked, like the churning of engine wheels right on time. As spoken lyrics hit the church, it was not the image of the Edmund Pettus Bridge that was perhaps most clear, but the knowledge of the father who lives in sanctuary downstairs, or the young man tackled by police last summer on the nearby Green, or the bodies that filled City Hall two weeks ago, as alders passed an all-civilian review board (CRB) after a 22-year battle. 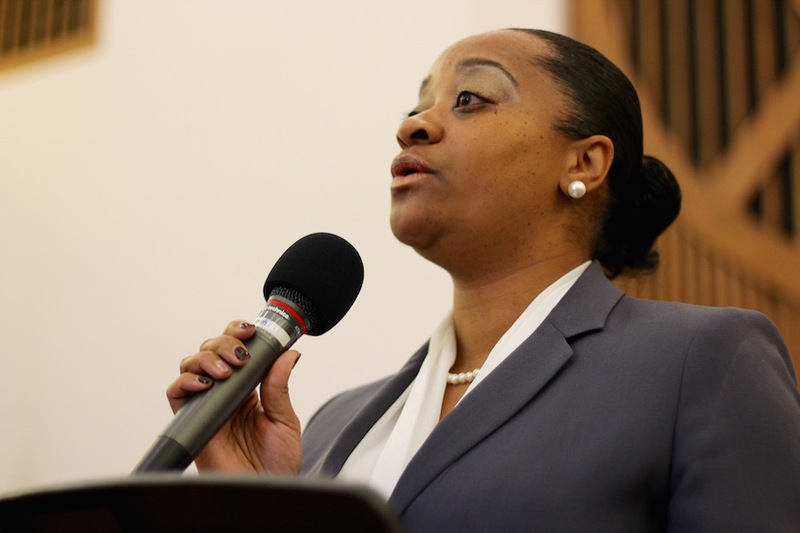 Between numbers, members of all three groups took turns reading at a music stand, filling the church with the messages of civil rights leaders, in their own words. 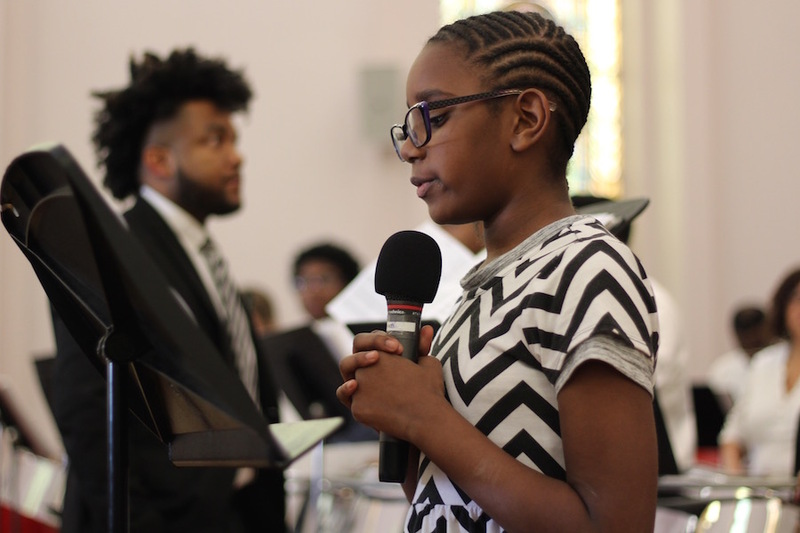 Lifting the mic to her mouth, pint-sized violist Jasmine King delivered King’s promise that “the arc of the moral universe is long, but it bends toward justice,” the message landing like a Sunday morning benediction. Played just before the end—the group always concludes with James Johnson's "Lift Every Voice," a fiery rallying cry all of its own—“A Change Is Gonna Come” also felt like it had been made for the ensemble. In the original, the song comes in with strings, graceful and dramatic as they set the stage. But instead of Cooke’s verbal declaration of himself—I was born by the river, in a little tent/Oooh, and just like the river, I've been runnin ever since—drums came in, both strong and soft enough to carry the words as strings delivered them. Around the church, attendees took in the ensemble with wide eyes, some nodding their heads in time with the music as others teared up.